Ever since Samsung introduced the phablet category into the market with their Note series, LG has tried to create its own phablet worthy enough to dethrone the stylus-toting flagship of the other Korean electronics giant. This led to the launch of the Optimus Vu; Vu2, and G Pro, all of which stood behind the shadows of the feature-packed and highly successful Note series. On the flipside, LG has regained back some of the market share against Samsung’s 2013 flagship smartphone with its G2 powerhouse. The overall design and user-focused features of the handset made it the preferred choice over Samsung’s Galaxy S4 for some. 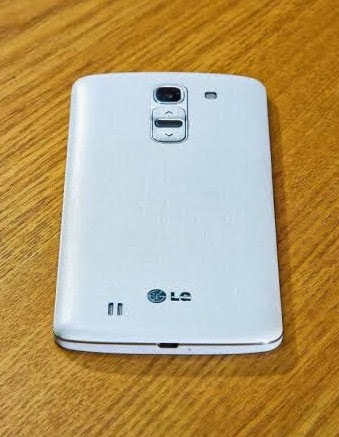 LG G2 is so good that it even received our TP Badge of Excellence! It seems that LG will most likely integrate their signature back-facing button configurations or what they call "The Rear Key" in the G Pro 2, which, in my opinion, increases the phone’s ease of use due to the buttons being easier to reach, provided the different styles on how we hold our handsets. In the same aspect, it looks like LG will also include on-screen buttons for navigation, like the ones found on the G2 and G Flex. Given that current hardware configurations of 2013 flagships contain serious horsepower, the LG G Pro 2 will most likely run at par with them, packing a Snapdragon 800 processor and 1080p display on a large 6-inch screen. All of these are then coupled with 3 GB of RAM, with support for LTE/LTE-Advanced, making it the perfect competition for the Note 3. Let’s just hope that this baby comes with Android 4.4 KitKat preinstalled to ensure a seamless experience throughout its user interface. Here’s what we know so far about LG’s G Pro 2 phablet, TP Friends. Would you consider buying this one, considering the fact that, like HTC’s One Max, this phone is a bigger version of the current flagship smartphone? Do you own an LG G2 or LG G Pro? Would you consider upgrading to this release once it reaches Philippine soil, or are you already happy with your device? Let us know in the comments section below! Mark of TP: If LG G Pro 2 will indeed be announced by the Korean Giant at the Mobile World Congress 2014 in Barcelona, Spain next month, I believe that the phablet will most likely see official release in the Philippines within Q2 2014 -- around late April or early June. The TP Guesstimate for its price is roughly Php 33,000 or around Php 5,000 more than the SRP of the LG G2 flagship smartphone in the country upon launch. Update as of April 7, 2014: LG Gro 2 has just been officially launched in the Philippines via an exclusive media event held in 71 Gramercy in Makati City. The official SRP of the phablet in the country is Php 32,990, which is almost the same as our price guesstimate for the device three months ago. 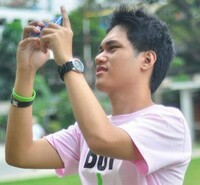 #TPWriterFellows Batch 1 Member and DLSU student, Nico Aguila is the self-proclaimed 'official' tech support guy of his friends. He's always ready to give you tips and tricks with Android devices and even gives you advice on which phone or tablet you should get whether it be running on Android, iOS, or Windows Phone operating system. Nico sees TechPinas as the best tech website in the Philippines and also as his safe haven when he reads tech news that is happening in the country. When he graduates, Nico plans to find a stable job in tech, have a family when he can, and of course, expose his future kids to technology and TechPinas so that they'll enjoy great bonding times together.